Biography: God first spoke to Isaac and Evalyne about ministry in 1999 when Isaac had retreated to the mountains in Kenya for prayer. He received the vision of making disciples and equipping and training co-workers in Christ. The Grace Oasis began in 2002 with two faithful members. The church is located an area called Manyatta Slums. It is an area with high poverty and illiteracy rates, as well as malaria and cholera outbreaks. 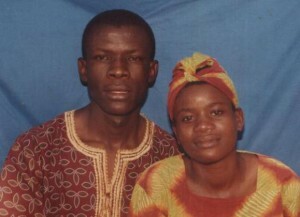 Isaac and Evalyne had a very difficult first year, as the cult churches in the area paid the police to arrest Isaac every month. The church has come against the fear and anger in the community by showing the love of God. They have set up a nursery school, youth programs and a community based care program where they provide assistance and training to the community. Isaac tells us, "The church has grown and we see the hand of God here." The Grace Oasis has home cell groups based on ages and needs, such as women's cell, youth cell, men's cell, widow's cell as well as cells based on location. The focus of the church is on leadership training, prayer and youth. Strengths: Isaac is gifted in teaching and prophetic ministry and has a passion for reaching millions with the gospel of grace and love.